I found a couple of old clippings from 1934 which show that anything above a certain size found in that region of Scotland was up as a likely candidate for the Loch Ness Monster. So it was that this interesting photograph was published by The West Australian on the 29th June 1934 (click to enlarge). "A strange sea creature caught by a fisherman in Moray Firth (Scotland). An opinion is held that it may have found its way into the firth from Loch Ness. The creature is 13ft long and about 1ft in diameter at its widest part." A big beastie indeed for those parts of Scotland and the Singapore Free Press took up the story as well on the 13th June 1934 with this story (click image to read enlarged text). You may have also noticed by these foreign newspapers how much interest Nessie was generating worldwide! The rather stiff looking nature of the beast is explained by the article's reference to the body being kept in an ice shed. A Mr. Cooper offered the slightly strained suggestion that the Surgeon's Photograph could be explained by this creature being caught in the act of diving with only its tail visible. This reminds us of a similar diving otter theory for the same photograph. However, as to its identity, an expert in the article suggests the oarfish (picture below). I don't think that quite fits the bill as the head looks different in shape. 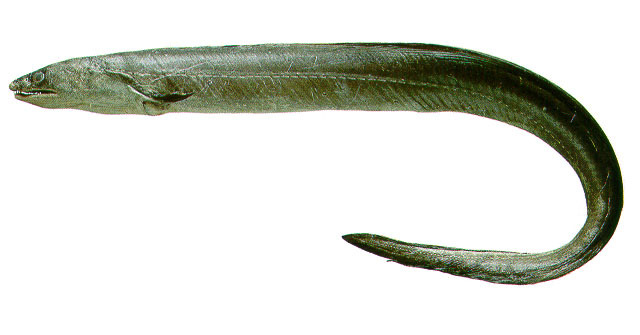 However, a likely candidate is perhaps the conger eel though whether the eel can reach such a big size is a matter for debate. I mentioned on a previous post how eels up to 7 feet have been caught around the area but this one is nearly twice as long! One therefore presumes it was caught out in deeper water. The classic "Courtship in Loch Ness" painting by Sir Peter Scott sold today for a price of £4,750 ($7,353). The estimate was £1,500-£2,500 so it sold for well above expectations. I wonder where it will end up? On public display in some Nessie related museum or in a private home hanging over a fireplace?